Ted Cruz is once again talking about government shutdown. This time it is about funding for Planned Parenthood. And once again it is not going over well with some in his party. Senate Majority Leader Mitch McConnell has called a strategy to withhold funding for the federal government unless taxpayer funds are pulled from Planned Parenthood an "exercise in futility." The fiscal year for the federal budget ends Sept. 30. Without a continuing resolution authorizing ongoing funding, the government shuts down. 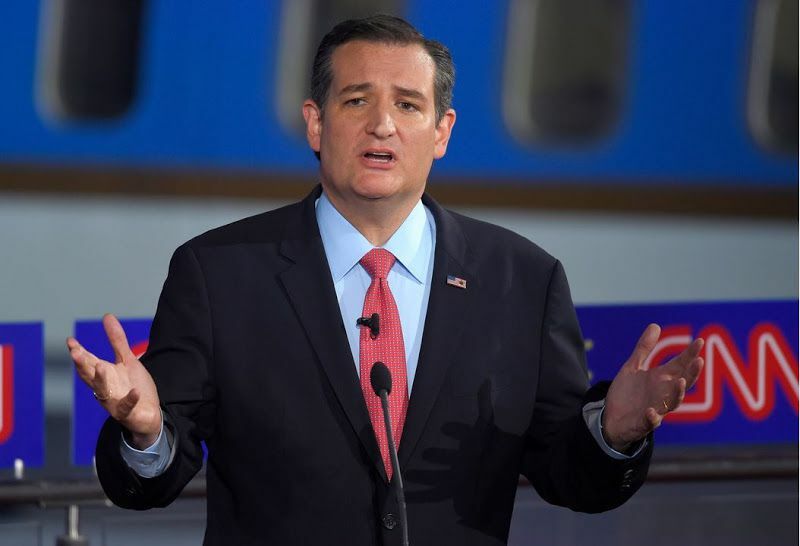 Ted Cruz wants to hold that continuing resolution hostage to stop Planned Parenthood funding. McConnell calls this an "exercise in futility" because in order to succeed, the Senate needs 60 votes, and 60 votes are not there. Even if the 60 votes were there to pass a funding bill without the Planned Parenthood money, President Obama would veto it. Congress would then have to override that veto, and the votes would not be there to do that. So now what? Is McConnell right? Conventional wisdom from the Republican "establishment" says that causing a shutdown is a losing proposition. If the votes are not there to defund Planned Parenthood, ultimately Congress will have to pass a funding resolution for the government, which will include Planned Parenthood funding, and, as in the past, Republicans will be blamed for the pain of the shutdown. Taxpayer funding of Planned Parenthood, the No. 1 abortion provider in the country, performing 327,653 abortions in 2013 according to their annual report, has been an ongoing issue for pro-life conservatives. The issue was re-ignited this year by a series of eight undercover videos, recorded and released by the Center for Medical Progress, showing that in addition to performing abortions, Planned Parenthood does commerce in body parts of the destroyed unborn children. They also do commerce in intact cadavers. The gruesomeness and heartlessness of this grotesque business has awakened even some who were prepared to just forget about the whole Planned Parenthood business regarding taxpayer funds. But despite this horror, are Ted Cruz's fellow Republican senators right? Should he forget what appears to be a suicidal strategy of holding funding for the federal government hostage to this Planned Parenthood issue? My question is: how do you lose more when you are already losing? Many still have not forgiven Cruz for leading the shutdown in 2013 over raising the debt ceiling. But the latest Congressional Budget Office projections show no abatement of growth of the national debt, and CBO indicates in its latest report that this has "serious negative consequences for the nation." And now, because of inability of the Republican Congress to stop our left-wing president, our country is about to conclude a nuclear deal with an Iranian government that actively supports terror worldwide, and feels no compunction to hide its hostility toward both America and our only real ally in the Middle East, Israel. At what point do you not continue to "go along to get along" with policies that are destroying our country? Can anyone really believe that such a nation — one that spends and borrows itself into bankruptcy, that cowers to terrorists, that takes money from its citizens to fund abortions as birth control and then condones trafficking in the body parts of those destroyed children — is a country with a future? President Eisenhower said in his first inaugural address, "Whatever America hopes to bring to pass in the world must first come to pass in the heart of America." When the heart of America is willing to tolerate the business of Planned Parenthood, no less than funding it with taxpayer funds, it is no surprise that we see the chaos that is occurring all over the world. It is time for tough, uncompromising measures from those who truly see the dangers in front of us and care about the American future.